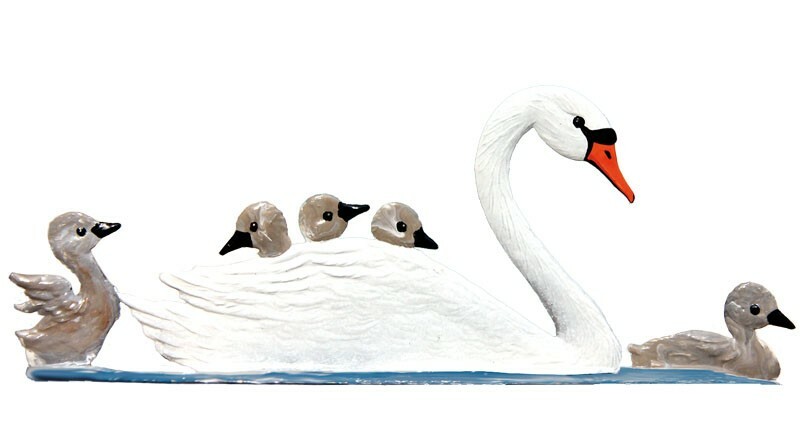 This German pewter Swan Family standing figurine is hand made and hand painted, resulting in a truly unique Easter decoration. Browse through all of Wilhelm Schweizer's ornament and figurine collections for an Easter collectible or gift. ALSO AVAILABLE UNPAINTED. Please Contact Us if you are interested in ordering it this way.